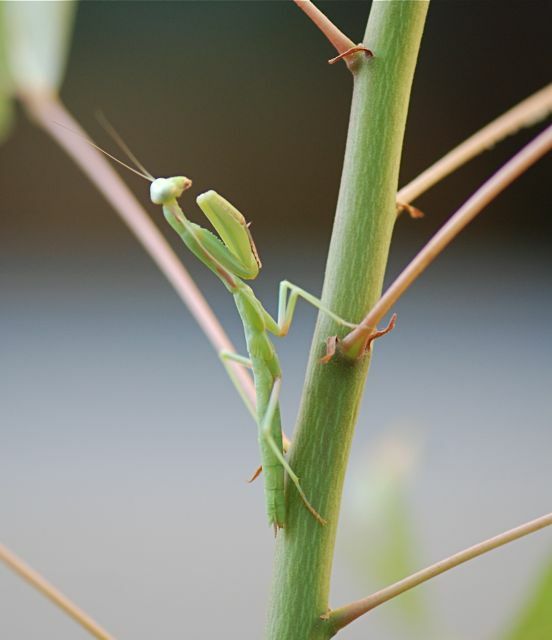 This year we have at least five praying mantids in our yard that I see regularly. Most are green forms. 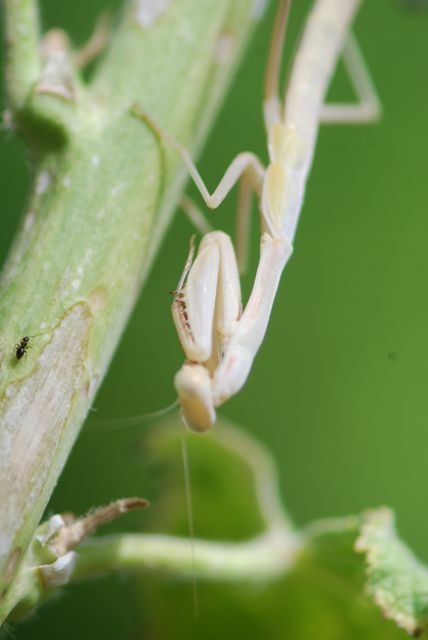 I believe they are Iris oratoria, the introduced Mediterranean mantids, but please correct me if I’m wrong. The adult has a black eye spot on its hind wing. There is one brown form. The first time I saw it, it was on a matching brown stem. Talk about cryptic coloration. The next day it was on a green stem. Not so cryptic any more. 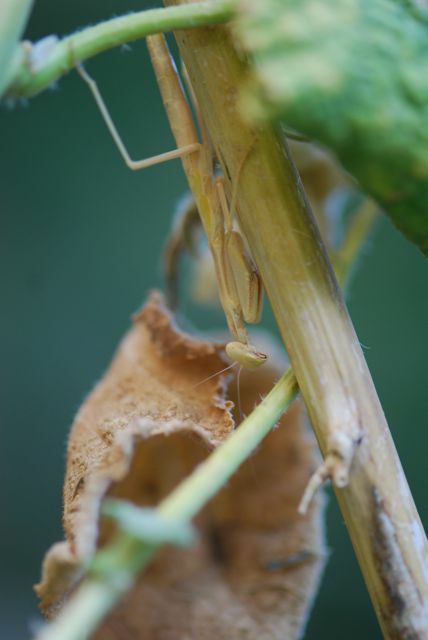 Are you wondering why I’m doing a photo essay about praying mantids on an ant blog? The hollyhock stem the brown mantid had chosen was an active rover ant (Brachymyrmex patagonicus) trail. At first I wondered if the rover ants would attack the mantid. 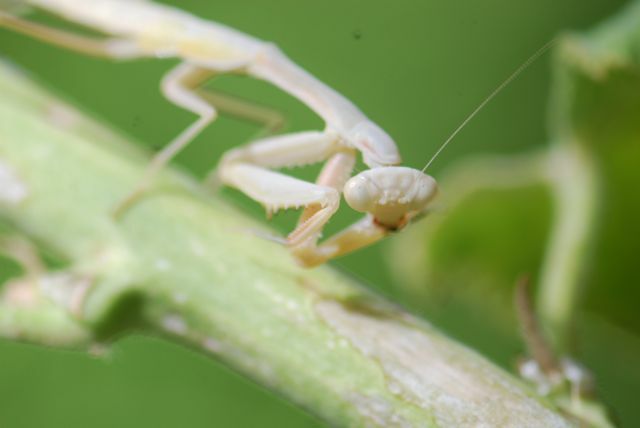 After all, the rover ants seemed pretty small to be worthwhile prey for a big mantis. Handling time, and all that. Think again. 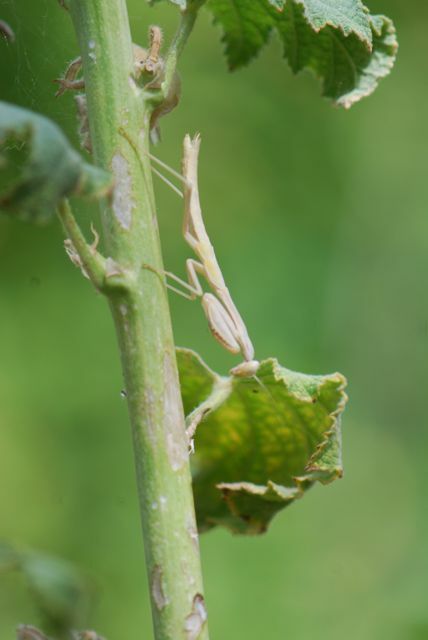 In the short time I was watching and taking photos, this praying mantis caught and ate four rover ants. This is the best shot I got. So, I guess at least one predator thinks rover ants are a worthwhile meal. 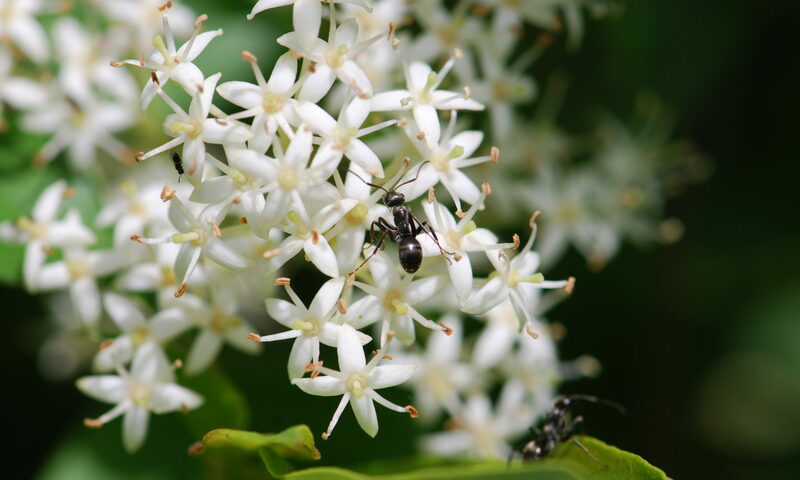 Do you have rover ants in your area? 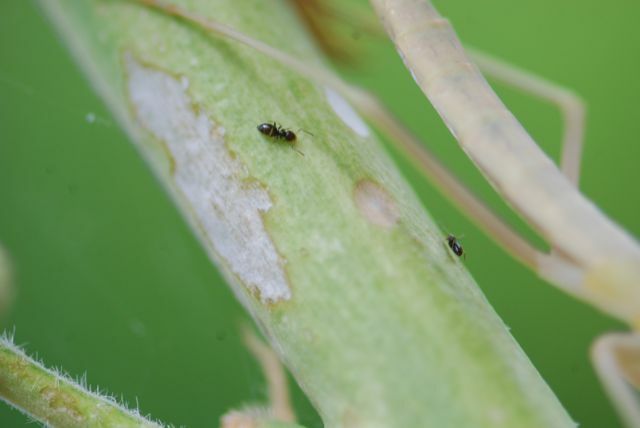 Have you ever seem a predator feed on rover ants?